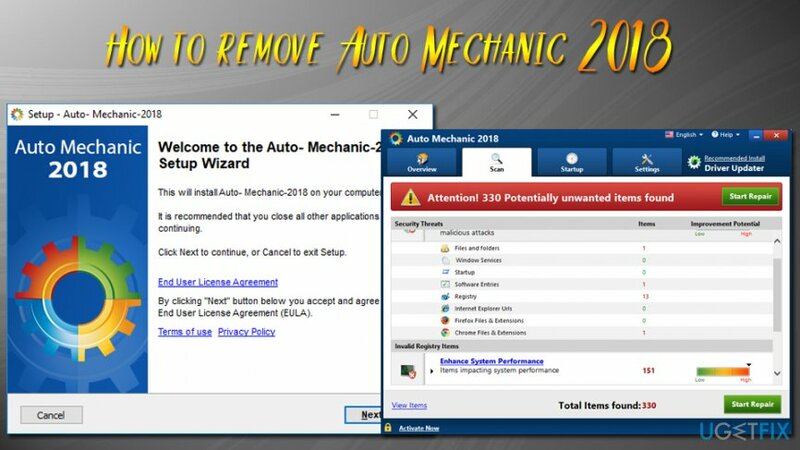 How to remove Auto Mechanic 2018? Home »	Uninstall » How to remove Auto Mechanic 2018? Issue: How to remove Auto Mechanic 2018? Hello guys. 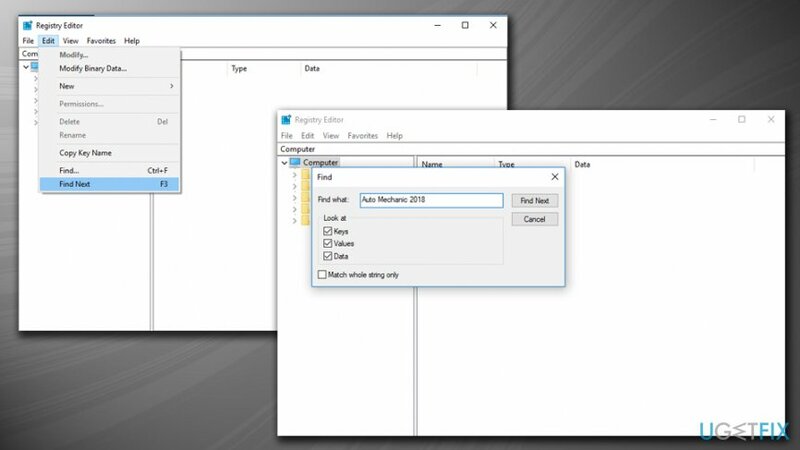 Recently I found Auto Mechanic 2018 on my computer. It popped up out of nowhere and started performing a system scan. Out of a sudden, I was presented with a variety of issues and every threat was red. Is my computer really that damaged? I didn't have any problems with it, as everything runs smooth. I am starting to believe that it is a scam. Is it correct? If yes, please help me to uninstall it completely. Auto Mechanic 2018 belongs to the potentially unwanted program category and is created by the same developer that continually keeps rebranding suspicious software and re-releasing it under a different name. All these programs work identically and bring no benefit to a regular user. 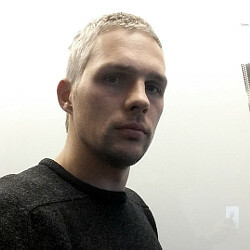 Nevertheless, developers of this dubious software are quick to promise a full eradication of malicious threats and other improvements to the computer. In reality, this application is nothing but a scam that tries to extort money out of innocent users. 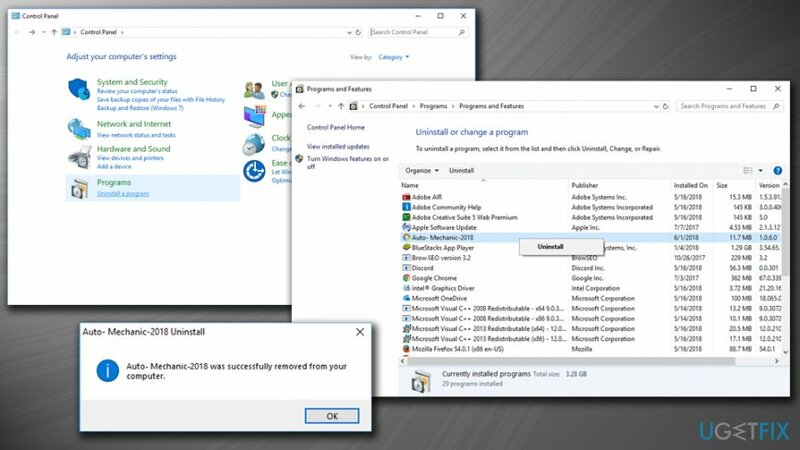 Programs like Auto Mechanic 2018 usually enter users' machines without their consent – hence the “potentially unwanted program” name. Developers rely on software bundling to populate their products to as many devices as possible. This technique, although not very fair, is legal and often abused. This is due to users picking Recommended or Quick modes during freeware installation. Fun fact: approximately 68% of users accept Terms and conditions without looking through them. The official website is filled with fake reviews and recommendations from a well-known media website CNET and similar, although there is no proof that any of these companies ever rated auto Mechanic 2018. Most likely, it is a lie as well. Our security team conducted an experiment and installed the PUP intentionally. 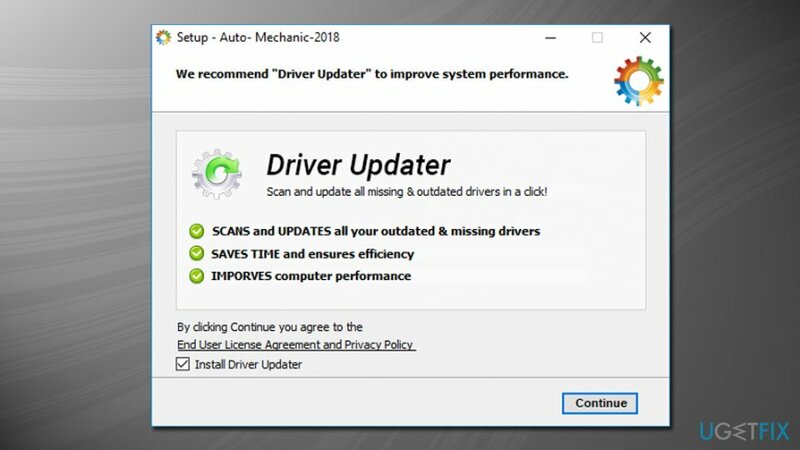 Before we even installed the program, we were prompted to install Driver Updater. At his point, we merely unchecked the pre-selected box and proceeded with the installation. We were soon greeted with a scan (which was initiated without our permission) and turned out that our machine is “extremely compromised” as well. Auto Mechanic 2018 found 330 items that allegedly harm our PC. Nevertheless, we noticed that all of these “problems” are simple registry entries or Google cookies. Absolutely untrue and bogus. The truth is, system optimizers might damage a perfectly working machine by deleting incorrect registry entries. To fix these “issues” we were prompted to buy a licensed version of the program. Our team decided to remove the application immediately. We suggest you do the same – follow the guide below. Not all security software engines recognize Auto Mechanic 2018 as a potentially unwanted program. Thus, we recommended running a full system scan with Reimage. This way, all the remaining registry entries can be eliminated automatically. Besides, this security program checks for any other mistakes on the machine and can repair them automatically. 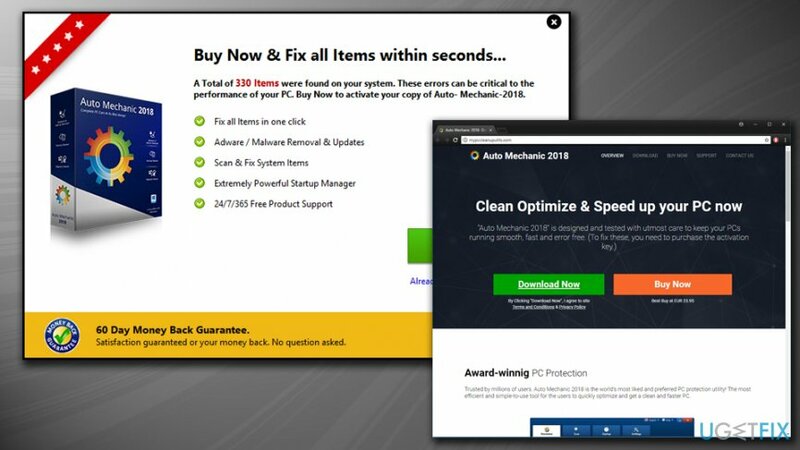 You can use Perfect Uninstaller to easily remove Auto Mechanic 2018. The software is extremely useful when a potentially unwanted program does not have a built-in removal executable. ^ PUP (potentially unwanted program). SearchSecurity. A free source of information technologies . ^ Bundled software. Webopedia. Online Tech Dictionary. ^ Spyware Statistics. Adaware. Security researchers. ^ Olivia Morelli. Driver Updater. How to remove? (Uninstall guide). 2-spyware. Cybersecurity news and articles.